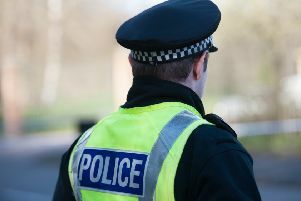 The 31-year-old was assaulted in the Maull Road area of Broxburn between 5.45pm and 6.15pm on Saturday, 2 February. It is understood a number of personal items were taken. He was rushed to Edinburgh Royal Infirmary where he was treated for his injuries. Officers are keen to trace three men who were seen in the area at the time of the incident as they may be able to assist with enquiries. Additionally, police are appealing to anyone who may have seen anything unusual or suspicious in Maull Road on Saturday evening. The first man is described as being around 5ft 5ins tall and aged between 45 and 55. He was missing a number of teeth and had grey facial stubble. The man has been described as wearing a blue hooded top with the hood up. The second man is described as being around 6ft tall in height and aged around 25. He has been described as having distinctive blue eyes and his face was covered by a ‘football style’ scarf. Police were unable to release a description of the third man.